Eye Candy: A. Lange & Söhne Double Split. A Collection of Some of Our Best Macro Photography of this Double Rattrapante Chronograph. The A. Lange & Söhne Double Split Chronograph ref. 404.032 is the world’s first and only mechanical chronograph with a double-rattrapante function. It features two pairs of stopwatch hands that can run together as well as separately. For the first time, they allow time comparisons, lap-time and reference-value measurements as well as fastest/slowest measurements of events that last up to 30 minutes. This exceptional timepiece that pushes the limits of horology is available in a generous 18K rose gold case with a diameter of 43.2 mm and a thickness of 15.3 mm. On the wrist, the watch wears slightly bigger than its actual size and quite high but with utmost elegance and outstanding wrist presence. Even if you can't fully tuck it under your cuff, this watch is a true horological masterpiece and one that you want to show off. 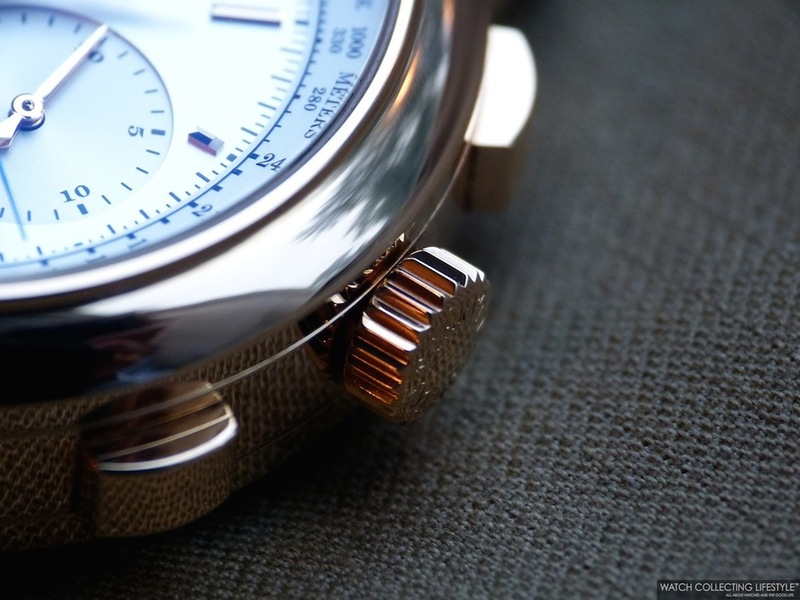 Now on to the macro photography of this impressive timepiece. Sticker Price $128,400 USD. For more info on A. Lange & Söhne click here. Posted on June 30, 2017 by Editor & Publisher and filed under A Lange Sohne and tagged A. Lange & Sohne Double Split A. Lange & Sohne Calibre L001.1 2017 Mainstream Brands Most Popular.